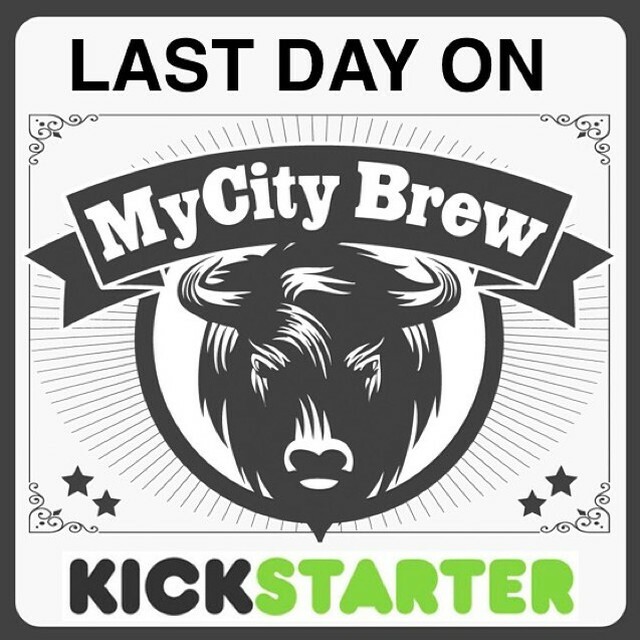 MyCity Brew is a brewing company inspired by the amazing city and people of Buffalo, New York. We’re on a mission to create the ideal beer for the WNY community, and also give back to the city we love so much. When we first started sharing the project with family and friends, we started getting a great deal of suggestions about what kind of beer we should make, which got us thinking… if we’re making a beer that’s truly for the city of Buffalo, why should we get to decide how it tastes? That’s why MyCity Brew we’re letting Buffalo design, test, and select its own beer! Through our website and social media, we’ll be asking you to let us know how you think MyCity Brew should taste. Over the first half of 2016, we’ll be posting a series of surveys and other material on our pages to narrow down the choices to four different beers which best represent the tastes of the Buffalo community. We’ll then formulate and brew four test batches based on the beers that the community has designed. Once the beers have been brewed, MyCity Brew will hold a taste testing event where the community can test and vote on each of the four samples. At the end of the taste testing, whichever beer has been selected by the Buffalo community will become MyCity Brew’s first beer! After the beer has been selected, MyCity Brew will be locally brewed and available at restaurants and bars throughout WNY. At this time, there are no plans for a brewing facility open to the public. In order to make this happen, we need more capital. So, we’ve launched this Kickstarter funding campaign which we hope the Buffalo craft beer community will really support. Our goal is to raise $10,000 in order to have the four test batches formulated and brewed according to your tastes. Remaining capital from the campaign will go towards the first full round of production, as well as warehousing and other miscellaneous expenses. We’re also starting an initiative called 1%BackforBuffalo, where we’re committing to donate 1% of our profits to different charities in the WNY area. Continuing with our community theme, we’re also letting the Buffalo community vote on which local organizations will receive donations. We’re encouraging other local Buffalo businesses to do the same, so that together we can continue to make Buffalo into an even better place. Our preliminary survey is up on our website (www.MyCityBrew.com). Take a look and let us know your favorite styles of beer! The surveys will get more specific as we move forward with the selection process. You can reserve your taste testing role in our final selection event directly through our Kickstater! Also be sure to keep updated on our Facebook (www.facebook.com/mycitybrew), Twitter (www.twitter.com/mycitybrew), Instagram (www.instagram.com/mycitybrew) to keep updated on the selection process! Even a small contribution really does make a big difference. If you can’t contribute, but would still like to participate, you can still sign up to be a MyCity Brew ambassador on our website! Any ambassador who refers 20 or more people to take our first survey will receive a taste testing role in our final selection event! We’re looking forward to hearing from you about what you want to see in Buffalo’s newest beer. A sincere thank you to all backers for making it happen. If you have any questions, comments, or simply would like to get more involved, always feel free to reach out to us at info@mycitybrew.com. Although our funding goal will be a huge help to get us off the ground, it will not be enough to finance the entire project. The $10,000 we hope to raise is to pay for the formulation and production of the four test brews, using the highest quality and locally sources ingredients. Any extra capital from the campaign will go towards the first full round of production, as well as warehousing and other miscellaneous costs. The remaining startup costs will be raised by local investors as well as business plan competitions which we are currently entered in. Still, a successful campaign can only better our chances in future competitions; so, if we’re lucky enough to meet our $10,000 goal, we’ll be off to a good start, but please keep spreading the word! Next @duclawbrewingco For Pete’s Sake Imperial Chocolate Peanut Butter Porter – Mouthfeel is really good. Definitely getting peanuts and chocolate. The scent is reminiscent of pretzels though.